Manchester United are the latest club to be linked with Callum Hudson-Odoi. There continues to be speculation over the future of the Chelsea youngster, who made his England debut in Friday’s 5-0 win against the Czech Republic. Bayern Munich have been pursuing him and are expected to make another approach in the summer, having had offers rejected in January. Then UK newspapers picked up on German publication Bild claiming that Liverpool are interested and are monitoring the situation. And now the Mail on Sunday have declared that United have entered the running to sign Hudson-Odoi and want to snap him up this summer. 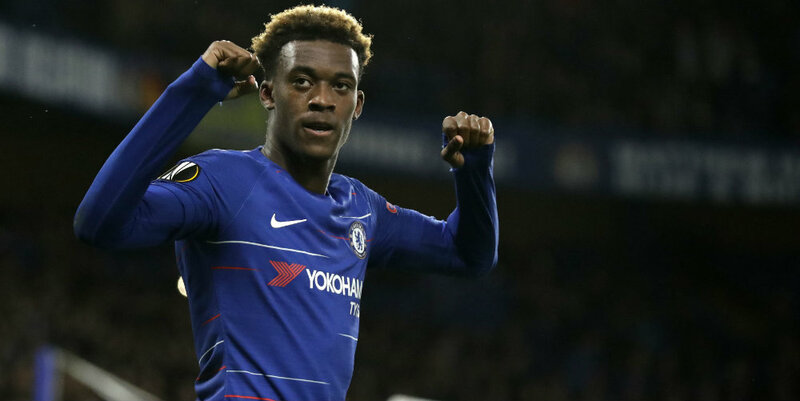 Hudson-Odoi’s contract at Stamford Bridge expires next year and Chelsea want him to sign a new deal. However, he asked to leave in January and has indicated that he is unwilling to sign a new contract.